Sign up for Broadjam today to follow Cody Lee, and be notified when they upload new stuff or update their news! Great reviews of my new album "Cody Lee", from my hometown Fort Worth. I HAVE A FEW MORE FREE DOWNLOAD CODES!! Happy holidays everybody, I hope 2015 has been a good year for ya! If not, don't worry, 2016 is right around the corner and a new year brings new opportunities. I think you may be seeing more of me in 2016. Who knows, I may even pop up to play a few shows so stay tuned! Taylor Tatsch and I spent alot of care to make it sound warm and vintage, using real instruments and analog tape. 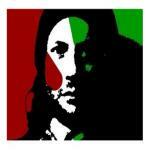 It sounds awesome on vinyl or Pono Player (high resolution 24/44 bit download) but all digital formats are available. The 24/44 bit files are over 200x more detailed than a CD, and the clarity in sound and dimension are instantly noticeable. High Resolution Audio enthusiast Wesley Derbyshire wrote in review "His blend of rock, country, and pop throws a happy vibe as the crystal clear music fills my listening room. Imaging is fantastic with no blurring, allowing for distinct pinpointing of parts across the soundstage." 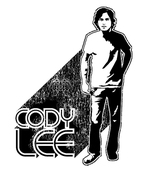 So go to http://therealcodylee.bandcamp.com/album/cody-lee, 1 where you can listen to the album for FREE. If you dig it, message me and I will send you a DOWNLOAD CODE where you can get the ENTIRE ALBUM in the FORMAT OF YOUR CHOICE for FREE! OR ANYWHERE ELSE YOU WANT TO LISTEN! !